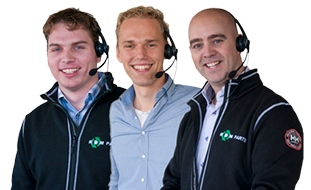 On this page you will find the disclaimer of www.reindrost.nl, as made available by Rein Drost Machinehandel. In this disclaimer we indicate under what condition we offer the information on our website to you. The use of the information on this website is free as long as you do not copy, distribute or otherwise use or abuse this information. You may only reuse the information on this website in accordance with the regulations of mandatory law. Without the express written permission of Rein Drost Machinehandel it is not allowed to re-use text, pictures or other materials on this website. The intellectual property belongs to Rein Drost Machinehandel. For the prices on our website, we strive to as carefully as possible reflect the reality and intended prices. Errors that arise and are recognizable as programming or typing errors, are never a reason to claim or assume a contract or agreement with Rein Drost Machinehandel. Rein Drost Machinehandel strives for a website that is as up-to-date as possible. If, despite these efforts, the information or content on this website is incomplete or incorrect, we cannot accept any liability for it. The information and/or products on this website are offered without any form of guarantee and/or claim to accuracy. We reserve the right to change, remove or repost these materials without any prior notice. Rein Drost Machinehandel accepts no liability for any information contained on websites to which we refer via hyperlinks. Should this disclaimer change, you will find the most recent version of the disclaimer from www.reindrost.nl on this page.